But these numbers pale beside a population numbering in the millions, meaning that the West alone cannot solve the Syrian refugee problem. Further, many in Western countries (especially European ones such as the Netherlands and Switzerland) have wearied of taking in Muslim peoples who do not assimilate but instead seek to replace Western mores with the Islamic law code, the Shari'a. Both German chancellor Angela Merkel and British prime minister David Cameron have deemed multiculturalism, with its insistence on the equal value of all civilizations, a failure. Worse, fascist movements such as the Golden Dawn in Greece, are growing. Instead, Muslims living in Arabia can rejoice in a law code that (unlike Ireland) permits polygamy and (unlike Britain) allows child marriages. Unlike France, Arabia allows the advocacy of wife-beating and goes easy on female genital mutilation. Unlike the United States, slaveholding does not entail imprisonment and male relatives can honor kill their women-folk without fear of the death penalty. 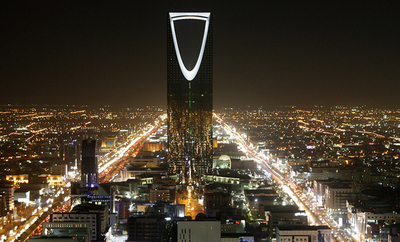 An aerial picture of Riyadh, Saudi Arabia, displays the country's urban attractions. (4) Some Middle Eastern economic refugees have discovered China and an increasing number go there on one- to five-year renewable residence permits. June 19, 2014 update: Also religious refugees have discovered China. (6) A topic I did not discuss in the main article for space reasons: that Syrian and other refugees import their domestic conflicts when they move to the West. For example, see here and here to learn about intra-Syrian tensions in Sydney and Melbourne, Australia. (7) This article will have two follow-up blogs. One, "Further on Syrian Refugees Fleeing to the West," deals with the narrow question of Syrian refugees. The other, "Making Culture an Element of Immigration Policy," takes up the very deep issue of criteria for allowing in newcomers. May 18, 2016 update: I return to this topic and update it today (recycling one of the above pictures to emphasize the continuity) at "The Saudi Solution: Accommodations are plentiful in the kingdom for Sunni Muslim migrants." 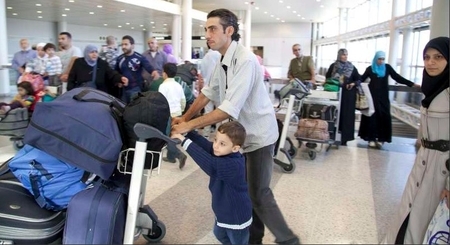 Further on Syrian Refugees: Fleeing to the West or to Saudi?